"Old Man Mad About Painting"! 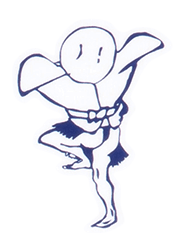 Who’s the most well-known Japanese outside of Japan? 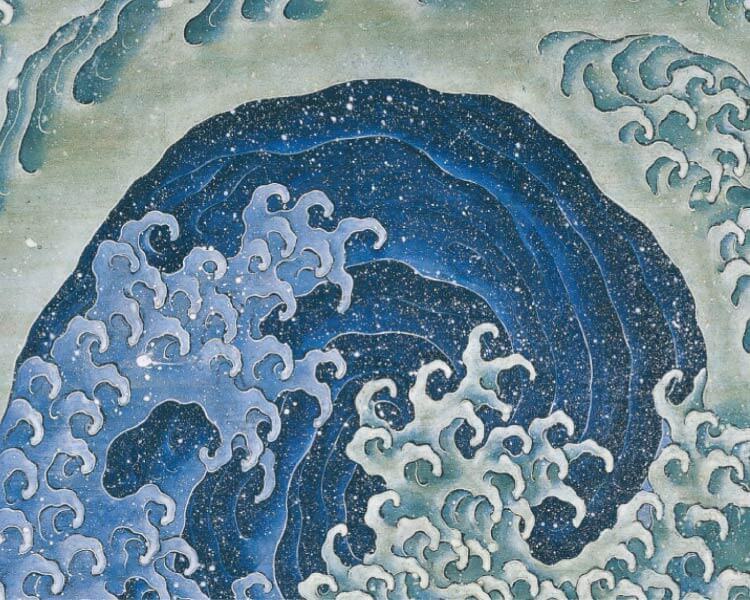 The answer is Hokusai, renowned ukiyo-e master. 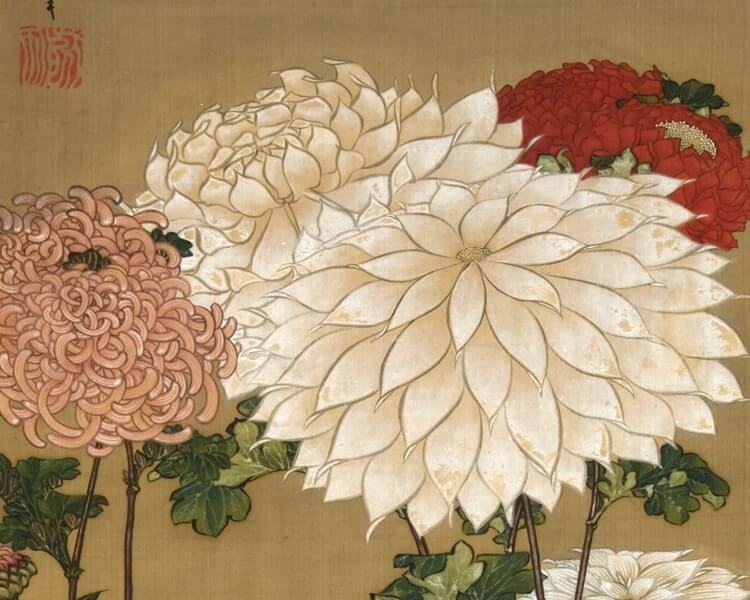 In his mid-80s,Katsushika Hokusai(1760-1849)came to Obuse at invitation of Takai Kozan,a wealthy farmer and merchant.During his stay, Hokusai painted several masterpieces including Dragon and Phoenix for the celing of the Higashimachi festival float, Masculine Waves and Feminine Waves for the celing of the Kanmachi festival float, and Phoenix for the celing of the main hall at Gansho-in temple. 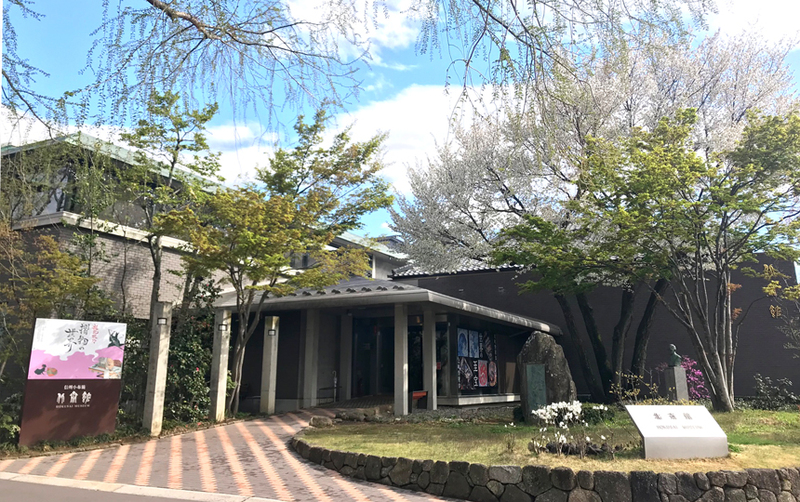 Opened in November 1976, the Hokusai Museum invites visitors to appreciate Hokusai’s artistic achievements including the two festival floats as well as paintings, books of woodblock prints, and multi-colored nishiki-e “brocade pictures”. According to the records, this festival float was rebuilt in 1805 and has the longest history among the seven festival floats currently present in Obuse. 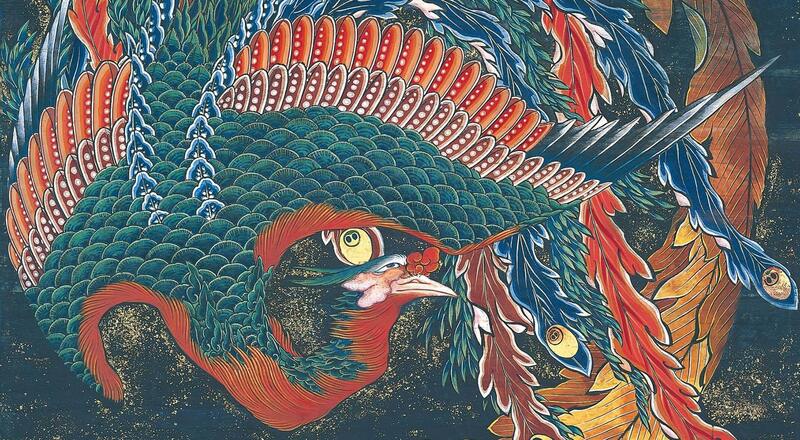 The float was constructed based on the request of Kozan Takai, who received the wish of Obuse villagers at that time, and a part of its ceiling was remodeled to contain paintings of a dragon and a phoenix. 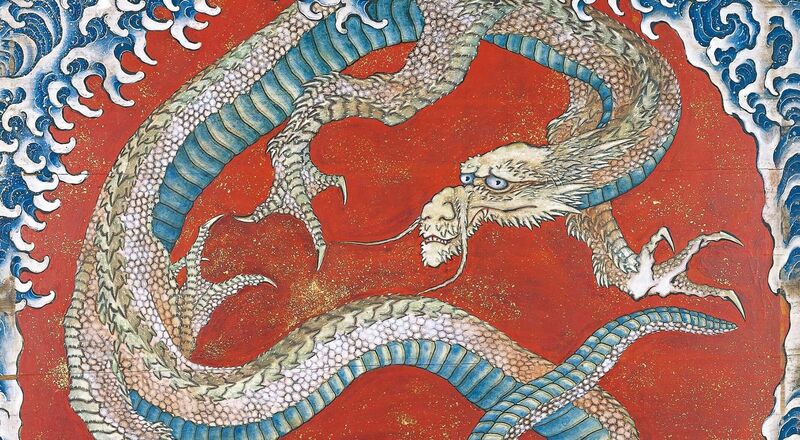 In 1844, when Hokusai visited Obuse at the age of 85, he spent half a year preparing the dragon and the phoenix paintings on the ceiling of Higashimachi Float. 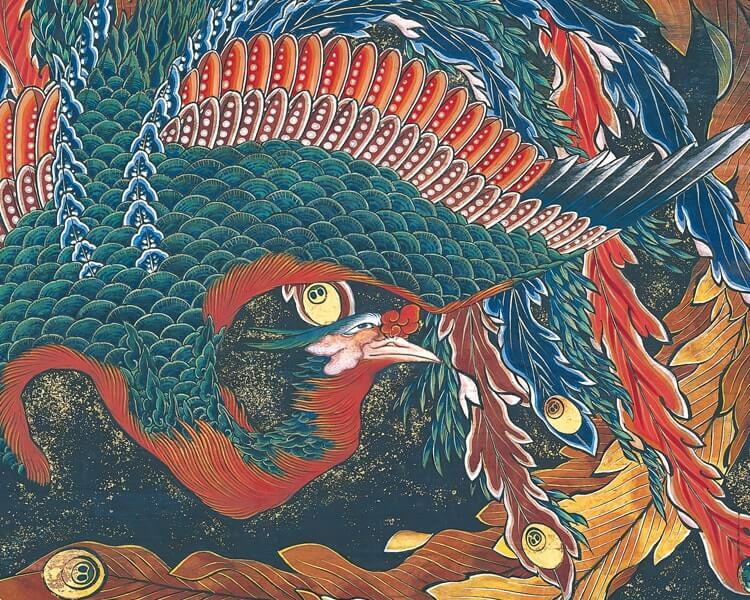 A dragon figure on a flaming scarlet background is contrasted by a phoenix figure on dark indigo background, representing the Chinese concept of Yin and Yang that enhances the decorative effect of the stage. This festival float was created by Kozan with his own money, and the decorative stage features wood carvings of two characters that appear in the novel “Water Margin”, General Gongsun Sheng, a military advisor of the Song Dynasty in China, and a dragon. 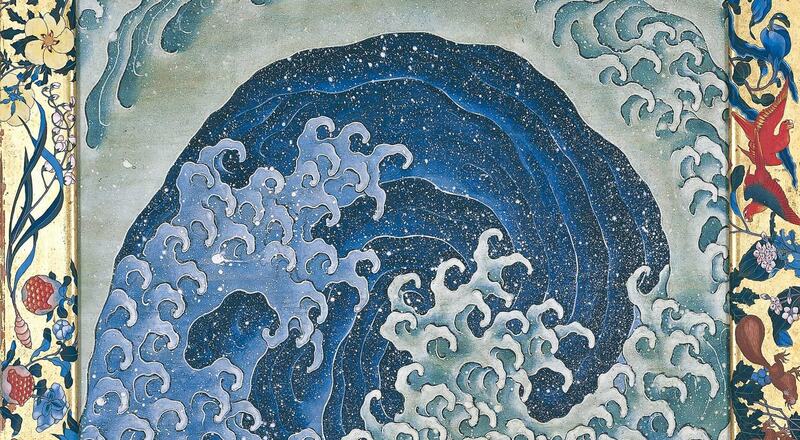 The two “angry wave” paintings on the ceiling of Kanmachi Float, the “Masculine Wave” and the “Feminine Wave”, as well as the float’s decorations were made by Hokusai for about 3 years from 1845. 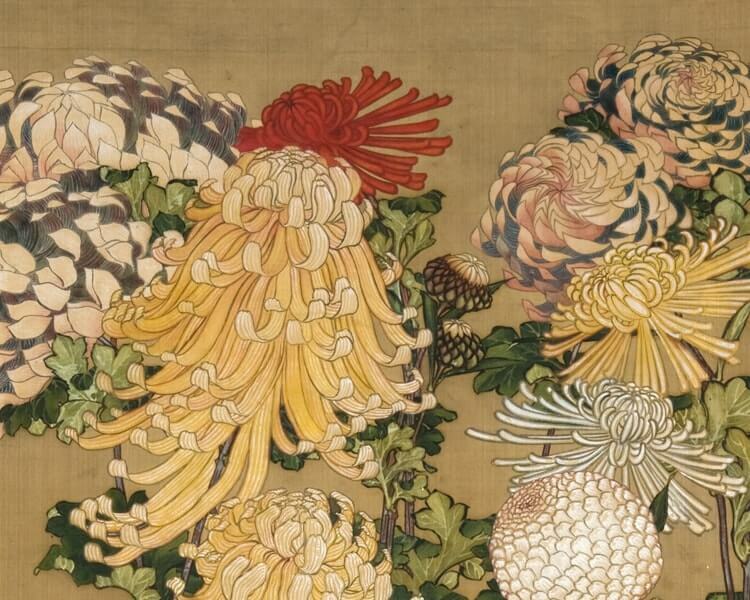 The colored borders of the angry paintings were painted by Kozan based on the Hokusai’s design. 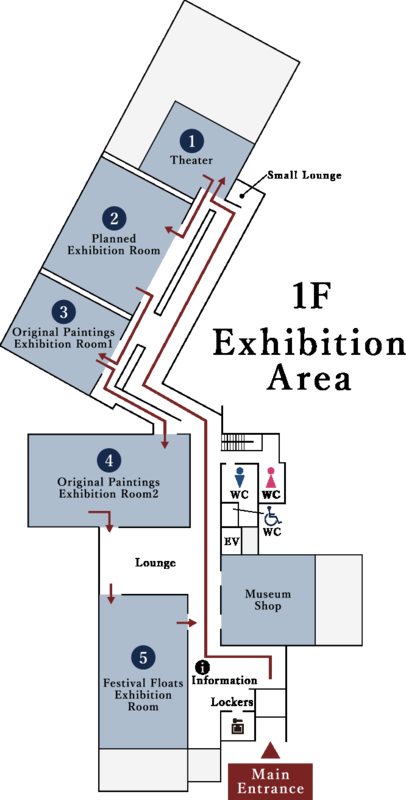 *Admission is half-price for disability passbook holders and one accompanying adult. 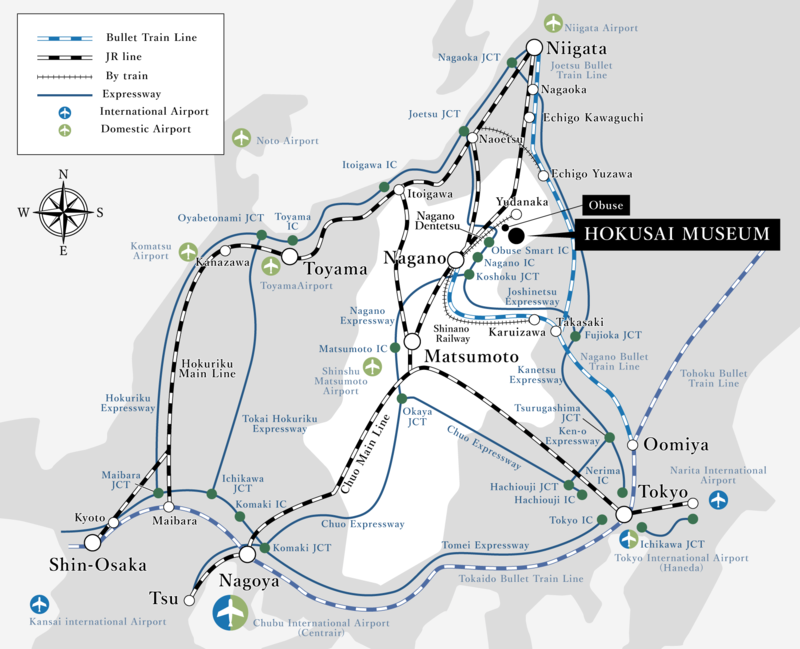 *If our parking lot is full, please use the Matsumura Town Parking (parking fee required). 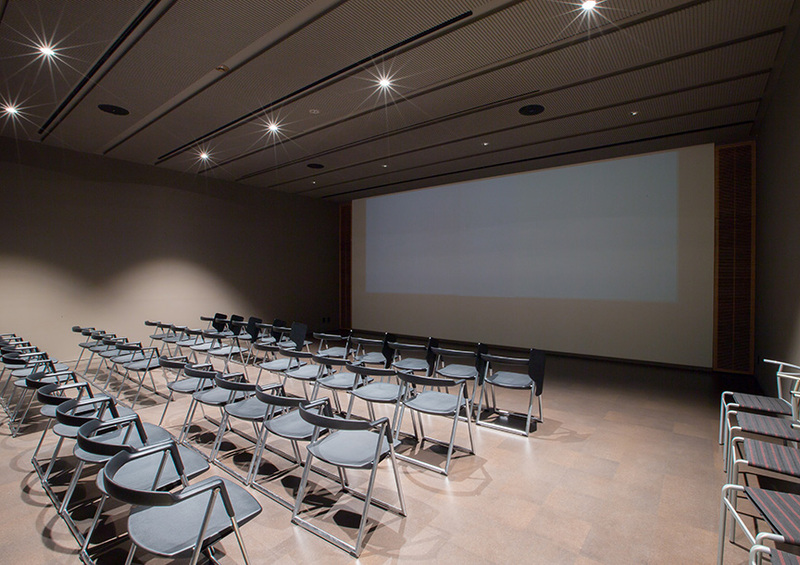 Successive screenings of audiovisual presentations titled Japonism and Katsushika Hokusai and Hokusai in Obuse. 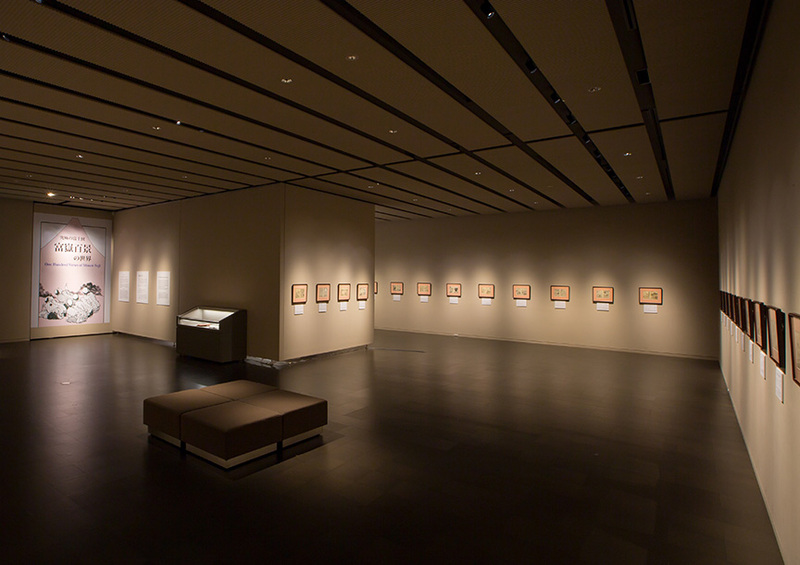 This gallery is primarily used for special temporary exhibitions. 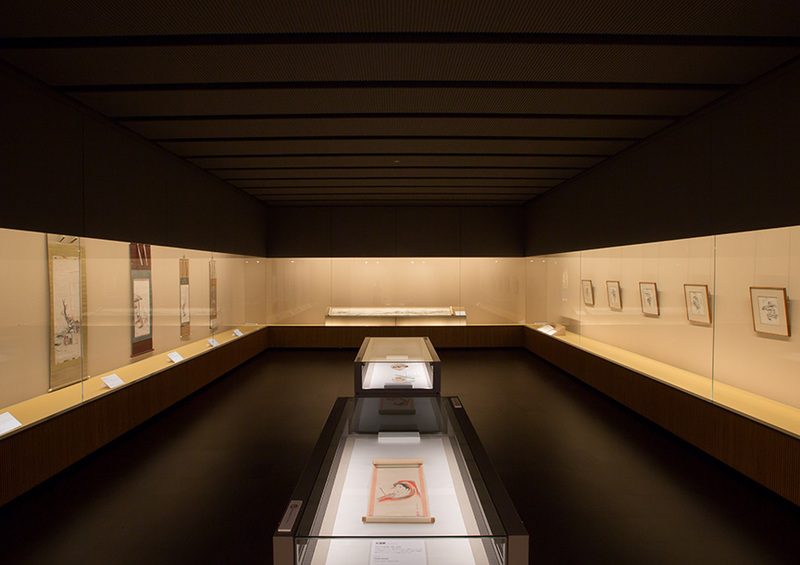 These Japanese-style exhibition spaces are dedicated to Hokusai’s hand-painted works mounted on hanging scrolls and screens. 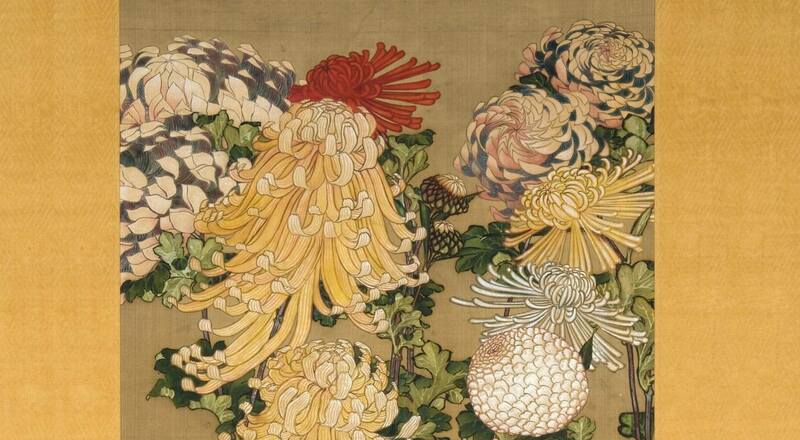 In the course of his 90 years, Hokusai created works in diverse enres including bijinga(paintings of beautiful women), kachoga(paintings of flowers and birds), and fukeiga (landscapes) that attest to his stylistic transitions from youth to maturity and into old age. 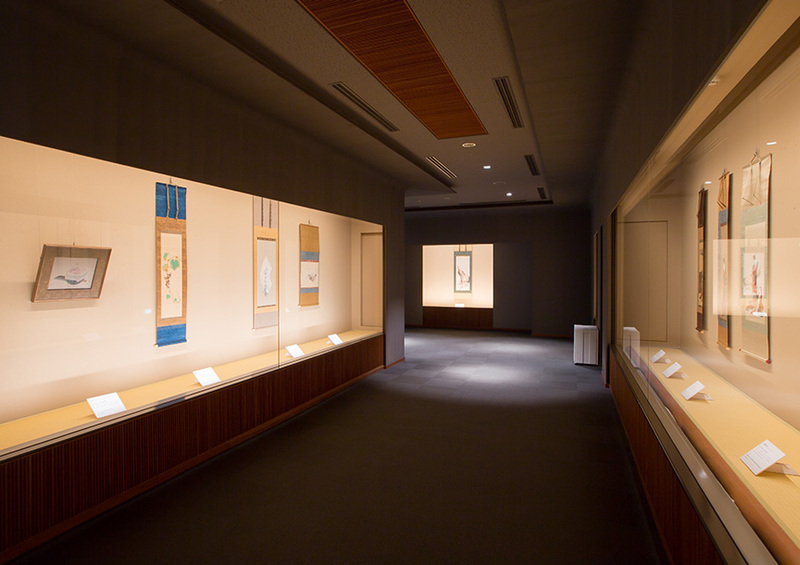 This room displays two festival floats (both designated Nagano prefectural treasures) that each incorporate a pair of ceiling paintings by Hokusai. 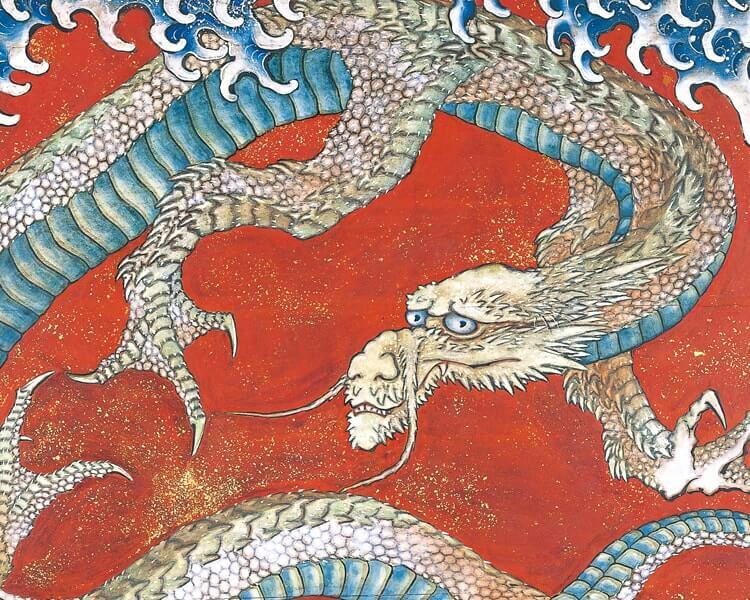 The Higashimachi neighborhood float features Dragon and Phoenix, both painted in 1844 when Hokusai was 85, while the Kanmachi neighborhood float includes Masculine Waves and Feminine Waves, painted in 1845 when he was 86. The Kanmachi float is also decorated with marvelous wooden sculptures of Gongsun Sheng and a winged dragon taken from the classical Chinese novel The Water Margin. 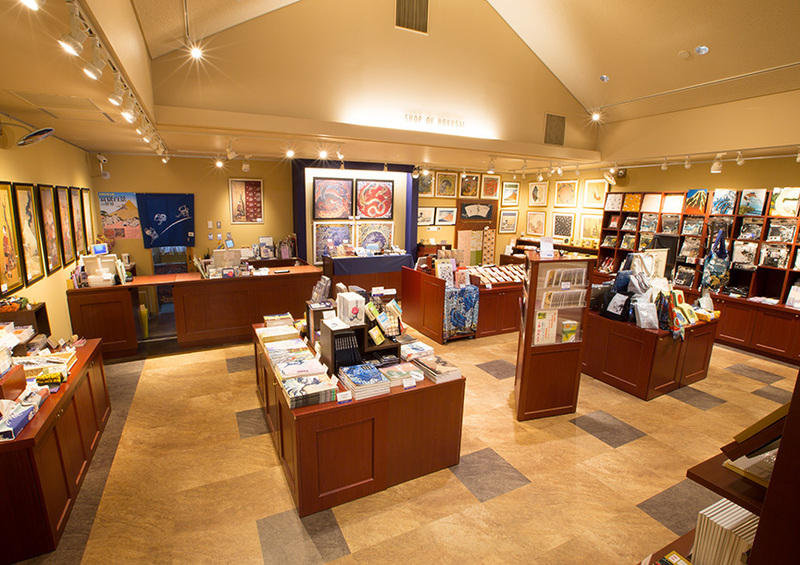 any of which would make a suitable souvenir of your visit. 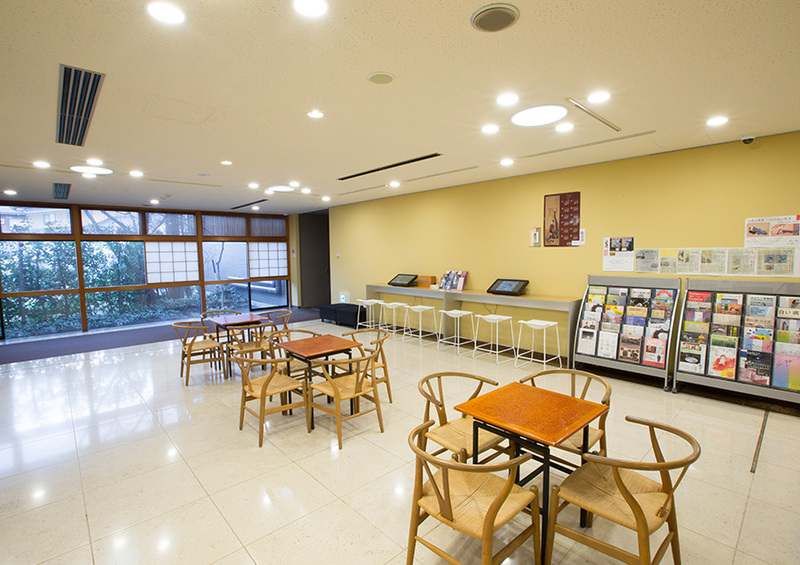 The lounge on the first floor is equipped with large touch-panel isplays that can be used to search or browse the collection of the Hokusai Museum. 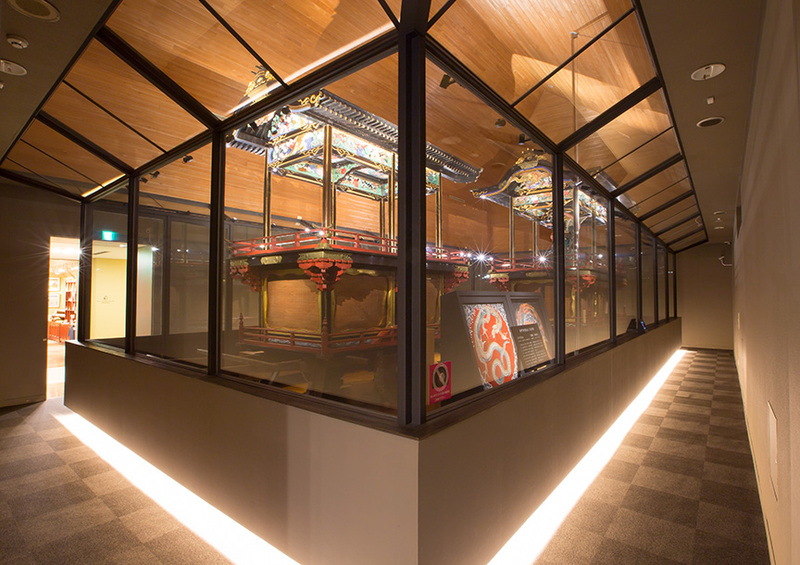 Vending machines are available, making this a good place to take a break during your visit. 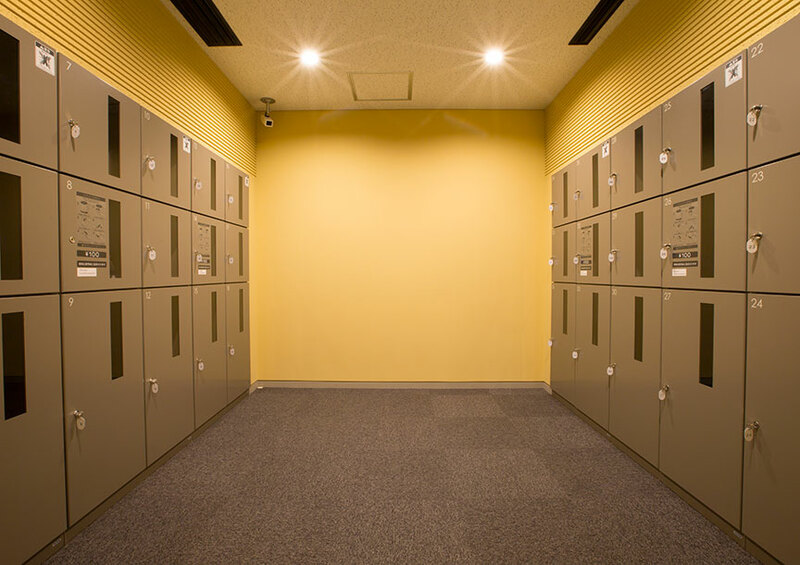 A coin locker is prepared next to the entrance general reception desk. Rental fee is 100 yen, but it returns after use. Please feel free to use. Click the button on each floor for details. 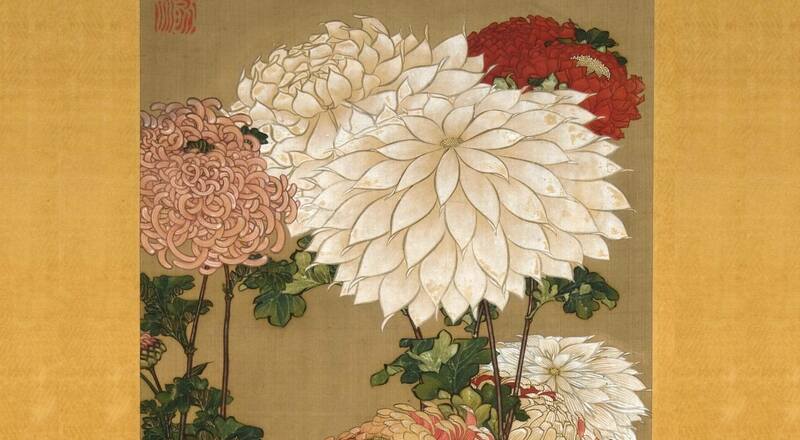 Copyright © 2019 HOKUSAI-KAN All Rights Reserved.